Magician Criss Angel will bring his critically-acclaimed RAW- The Mindfreak Unplugged show to the F.M. Kirby Center on Wednesday, May 2 at 7:30 p.m.
Tickets go on sale this Friday, March 9 at 10:00 a.m. and will be available at the Kirby Center box office, online at www.kirbycenter.org and charge by phone at (570) 826-1100. A Kirby Member Pre-Sale begins Wednesday, March 7 at 10:00 a.m. He is the star, creator, executive producer and director of the most successful magic television series of all time, Criss Angel MINDFREAK on A&E Network, and the star and producer of the #1 best-selling Las Vegas stage show, Criss Angel MINDFREAK LIVE! (in partnership with Cirque du Soleil® and MGM Resorts). Simply put, Criss Angel’s magic revolution has single-handedly brought upon the art’s resurgence. 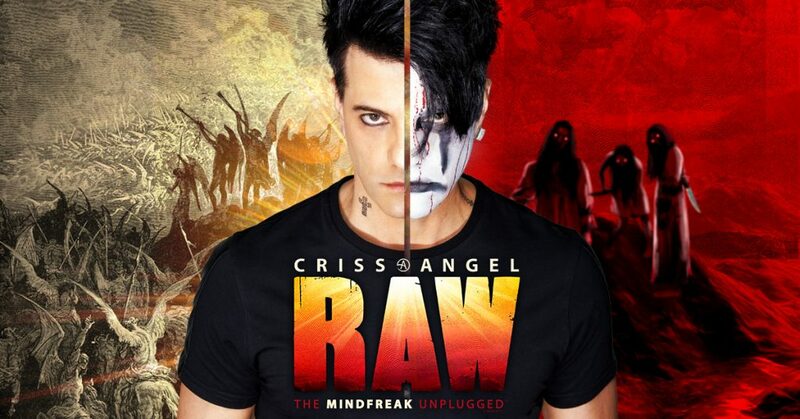 Criss Angel RAW – The Mindfreak Unplugged is a theatrical experience unlike any seen before; bringing Angel’s famous sleight of hand street magic, mentalism, and even some of his most iconic illusions to life – all performed in an intimate, raw setting. This extraordinary evening of magic unplugged features Angel and some of his amazing friends with a stripped-down purity that’s in-your-face and guaranteed to blow your mind.